Wendy Wu Tours, Australia’s leading operator of tours to Asia, is in the final stages of delivering a suite of exciting new tools to Australian travel agents. With a long history of trade support, Wendy Wu Tours continues this legacy through two soon-to-launch initiatives. In the final stages of development, Wendy Wu Tours will imminently launch a brand new online booking facility for the Australian travel trade; delivering ease, speed and enabling agents to book anywhere, anytime. 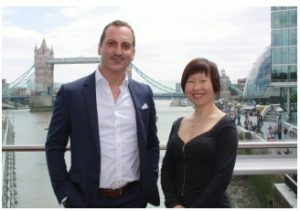 A similar new trade facing website launched in the UK this week, with Founder and Chairwoman, Wendy Wu, present to make the announcement. Concurrently, launching soon, will be a brand new overarching incentive programme, with a full spectrum of rewards for Australian travel agents. Stay tuned for further and full details will follow on both of these initiatives in coming weeks. To keep up to speed on all of the new trade developments at Wendy Wu Tours Australia, please join our private group “Wendy Wu Tours Australia Agents” on Facebook, or click here.